WORKING ENGLISH FOR WORKING PEOPLE – designed for people like you. “I found the SyM Professional course extremely useful in improving my knowledge of the English that we need in the working world. Things change around us – language too- and this course kept me up-to-date”. Developed for working adults, SyM Professional is designed to ensure maximum participation as each lesson provides continual opportunities to express yourself in a range of practical and interesting professional contexts. 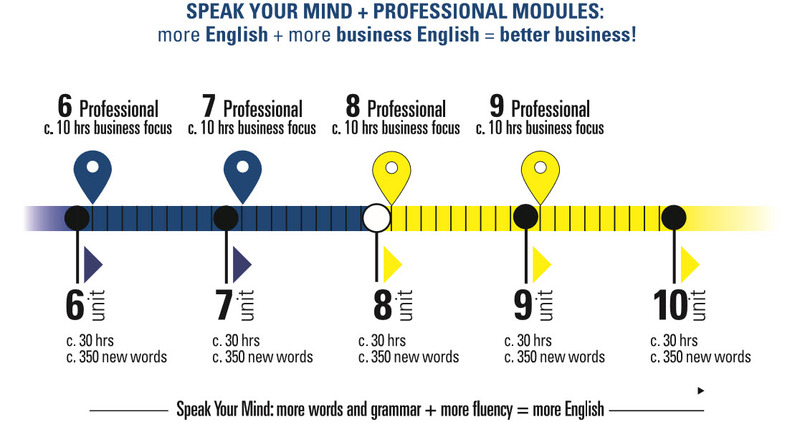 At the same time Professional modules systematically build your work-related vocabulary to help you talk about your work – and perform your work with greater confidence. Active lessons with full focus on work-place English and refined ELT product. Up-to-date and relevant content success.